Hey loves I thought it was about time I did a couple more nail post. I have a horrible habit of buying a ton of nail polishes, and then I never end up posting swatches of them! Which I need to start doing because I have so many pretty shades to show you all! So today I have Essie nail polish in First Timer. 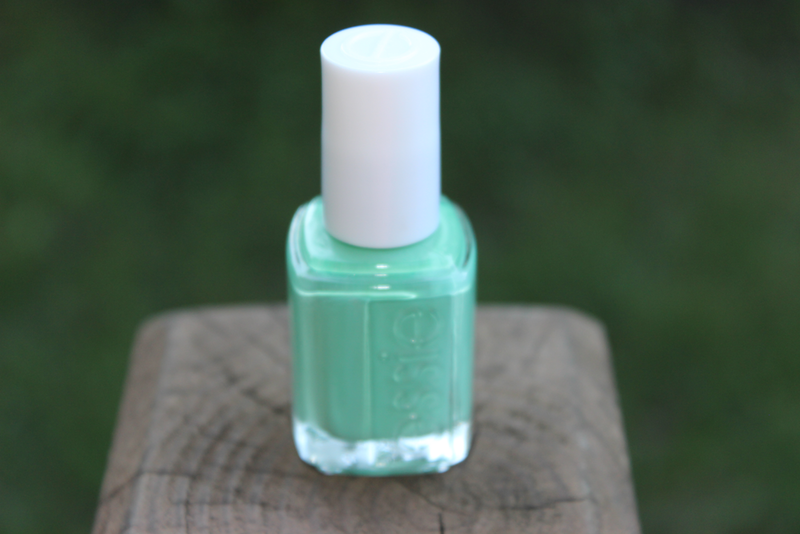 First Timer is part of the Essie Resort collection 2013. When I saw this shade for the first time I seriously had fallen in love with it. Everything about it is so pretty and I really do not have a color like this in my collection. It's a nice pretty teal green color. Its a wearable green which I love because I am normally not a big fan of green nail polishes, but this one is a must have for me. It's such a cute color! I love pastel greens :) looks nice on you!